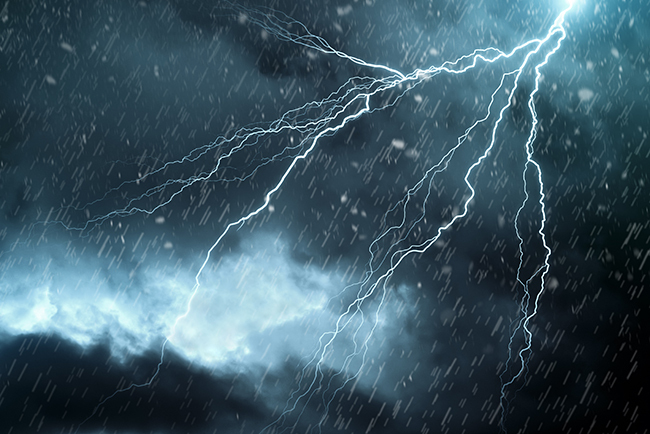 Hailstorm Brewing Between Lawyers and Insurers | The Voss Law Firm, P.C. In this weekly insurance claim update, we take a look at the next steps taking place between insurance companies and lawyers in Texas. The battle between them is nothing new and this particular fight stems from weather-related events that occurred in 2012. Major hailstorms that ravaged the state years ago are at the forefront of a debate over whether companies that refuse to make payouts to homeowners who have damaged property should face less penalties for doing so. Insurance groups in Texas have complained that excessive litigation has taken place. Hailstorms have caused over $11 billion worth of damage. This is more than when you combine the damage totals of hurricanes, thunderstorms and tornadoes. Thousands and thousands of lawsuits related to hailstorms have been filed in the years since the massive storms of 2012. And now a few years later, Texas Gov. Greg Abbott has decided to pursue legislation "that would place limits on post-hailstorm litigation." On the side of the filers, many individuals decided to make a claim after realizing so many others had already done so. With hail measuring in feet and piling up next to houses, residents felt it was necessary to try to recoup some costs from the excessive damage they received. Abbott wants to "limit abusive hailstorm litigation.” But this leaves residents wondering what exactly is "abusive?" If they file with legitimate claims, but others do too, why should theirs be lumped in with claims that waste time? Additionally, the fight between insurance companies and lawyers continues because insurers want less involvement from attorneys entirely. There is a belief within this group that this involvement itself is what raises their costs and leads to a reduction in policies that are available around the state. Legislation that removes responsibility from insurers is bound to raise other issues. It might even prevent consumers from ensuring companies are held accountable for other, different issues that might arise during the filing process. Multiple storms around the state each year, big and small, continue to increase claim filings. Also, with every filing, most insurance companies can expect a few claims that require some vetting. But this has little to do with hailstorms, as such individuals file regardless of the merit (or lack thereof) of their claim. Does this mean that every claim should be automatically labeled excessive? Not everyone who works with Gov. Abbott agrees. In December of last year, the Counsel met with lawmakers. Their conclusion was that they did not believe hail lawsuits were excessive in Texas. They also disagreed with the Governor's assessment that insurance companies needed to be protected through limited penalties. Additionally, it was added that insurance companies can already depend on protection from the state during the claims process. The legislation is still pending. And because hailstorms will continue to occur, damage will also continue to impact residents. Until a decision has been made, consumers must concern themselves with only their damage. Seek out a professional to ensure your insurance case is properly attended to. If you believe that your hailstorm claim is valid and your insurance company has decided against you, contact us at the Voss Law Firm today. We specialize in getting clients the money they need after their insurance company denies their claims - and policies - (Commercial, Industrial and Residential).